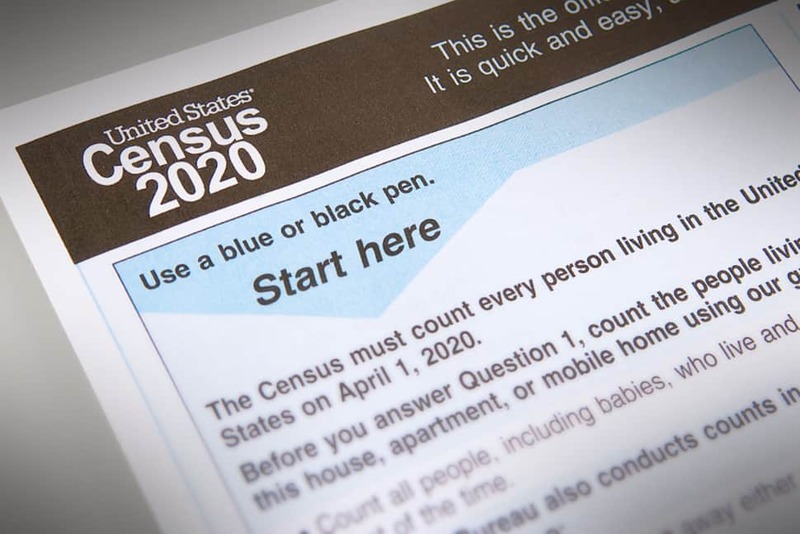 The 2020 Census begins April 1, 2020, and libraries will play an essential role in helping their communities be counted. Now is a good time for libraries to begin thinking about what activities they might undertake to meet these special, once-a-decade demands—and how to access resources to fulfill those needs. Libraries across the country will offer information about the Census and provide technology access to residents completing it online for the first time. 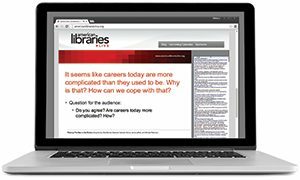 Some questions to consider: Will your library need additional computers for residents to complete their Census questionnaire online? 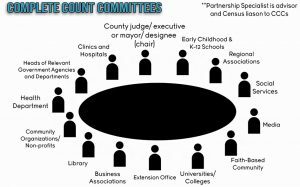 Will you work with other community stakeholders to present meetings or programming to inform the public about the Census? Will your library include Census promotion inside the library or as part of its outreach? Along with planning potential activities, libraries can begin assessing their resource needs and consider how to support those activities. Libraries can look for funding opportunities from government, philanthropy, and business partners. A good way to find out about opportunities is by participating in a Complete Count Committee. On the federal side, libraries can consider resources from the Institute of Museum and Library Services (IMLS). While Congress has not provided IMLS with dedicated funding to support Census activities, existing grant programs could be used. For instance, a new IMLS special initiative, Accelerating Promising Practices for Small Libraries, is open for proposals, and projects related to the 2020 Census are mentioned as a potential example under the “digital inclusion” category. Applications are due February 25. Over the coming months, funding opportunities may become available from state and local governments as well. The New York Library Association and the California Library Association are advocating to secure state funding for libraries to help their communities participate in the Census. Funding or donated resources also may be available from philanthropists or businesses. Consider reaching out to local community foundations or potential corporate partners, such as a technology vendor that may be willing to donate additional tablets for Census respondents to use. 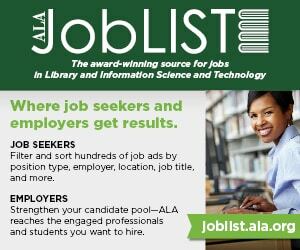 Attendees of the upcoming American Library Association (ALA) Midwinter Meeting & Exhibits in Seattle can learn more about these opportunities at the session Library Advocacy and Community Engagement in the 2020 Census (Sunday, January 27, 4–5 p.m., Washington State Convention Center, Room 615–617). ALA will also release additional information to support libraries throughout 2019. 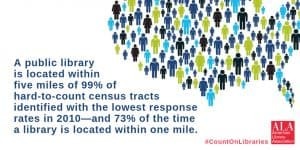 Visit ALA’s 2020 Census site for more information. GAVIN BAKER is assistant director for government relations at the American Library Association’s Washington Office, gbaker@alawash.org. LARRA CLARK is deputy director of ALA Public Policy & Advocacy and deputy director of the Public Library Association, lclark@ala.org.